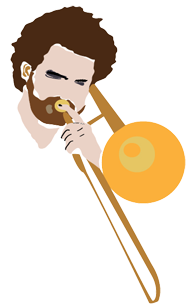 Je joue du trombone (alto, ténor et trombone basse ), du tuba et des coquillages. I play trombone (alto, tenor and bass trombones), tuba and sea shells. a music teacher as well. Please feel free to visit each of them.